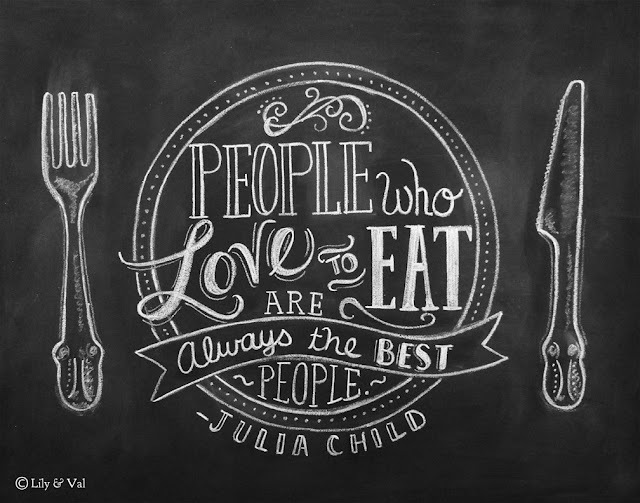 Chalkboard art has become quite popular as of late and I'm a HUGE fan. It combines my love of typography and graphic design with a huge dollop of playfulness and creativity! This piece is by Lily & Val from their Etsy store. They have many other amazing designs and do custom pieces as well. This chalkboard art was outside of the Gourmandise School of Sweets and Savories in Santa Monica and I couldn't help but snap a shot. 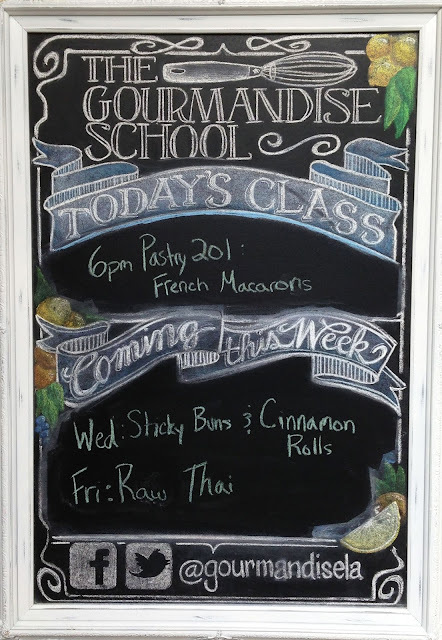 Many restaurants and retail stores are now using chalkboard art for display. Adds such a great touch! By the way, I'm definitely signing up for a cooking class here! 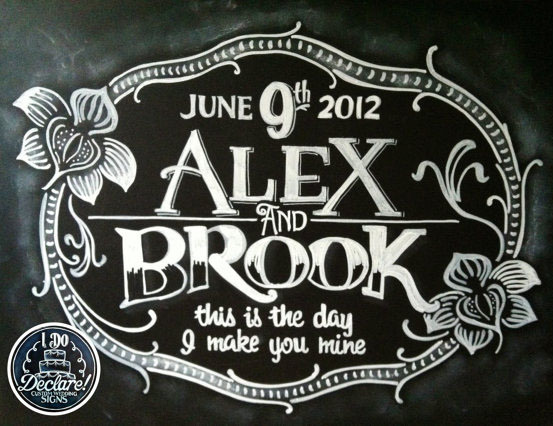 This piece is by another Etsy shop, Main Street Chalk . They have a lot of great colorful designs as well and also do custom pieces for customers. Including this piece for my niece, Jenny, who is getting married in September. Great idea! 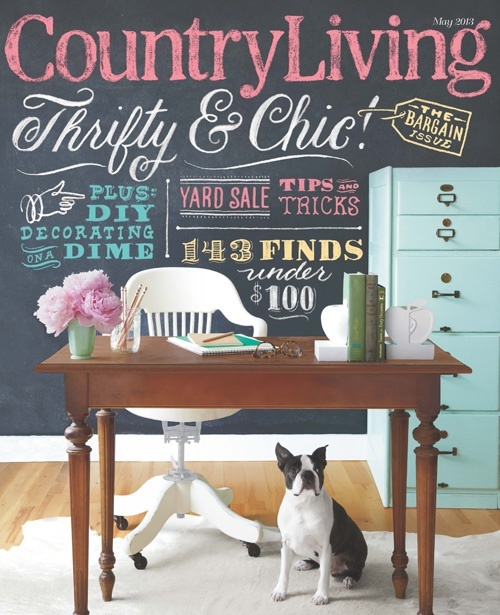 Even Country Living magazine featured chalkboard art on their May 2013 cover. Great color! Hope you enjoy these as much as I have! Thanks for the reference Nancy!